Conquer great heights on the new Himalayan highs special edition. 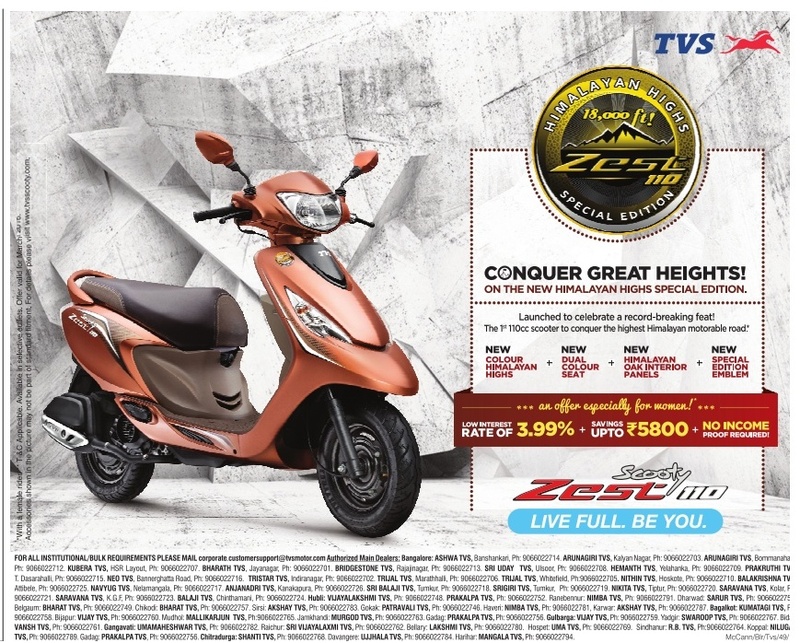 The 110cc scooter tvs zest to conquer the highest Himalayan motor-able road. An offer especially for women ! Low interest rate of 3.99% + Savings up to Rs 58,000 + No Income proof required. This offer valid all over India including all metro cities: Bangalore, Hyderabad, Mumbai, Delhi, Chennai, Kolkata, Pune, Ahmadabad, Lucknow and Jaipur. Conditions apply.